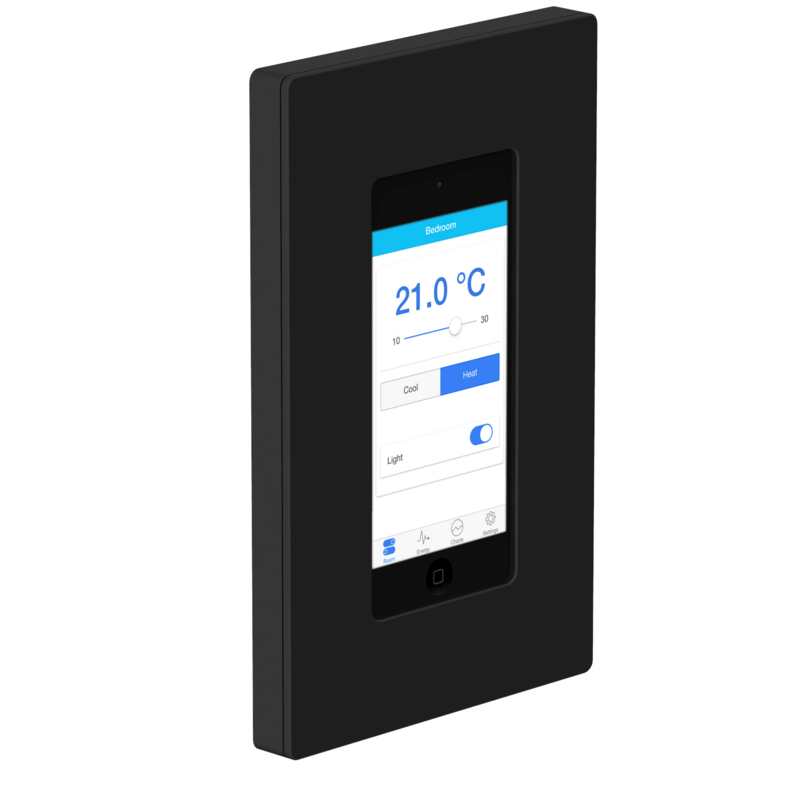 The HMI5 wall mount BACnet touch solution allows to use the most advanced touch displays as a native BACnet/IP user interface. HMI5 wall mount allows to fix on walls and other surfaces Apple iPad or iPod Touch. The iPod Touch option is a relatively low cost solution to have a wall mounted BACnet/IP touch display. With our BACnet HMI5 application this provides native BACnet/IP access via the Wi-Fi network of the iPad or iPod Touch. A POE (Power Over Ethernet) adapter is available to provide power to the iPad or iPod Touch. HMI5 wall mount can be installed in portrait or landscape. Low profile design: the enclosure with low profile measures about 13mm (1/2"). 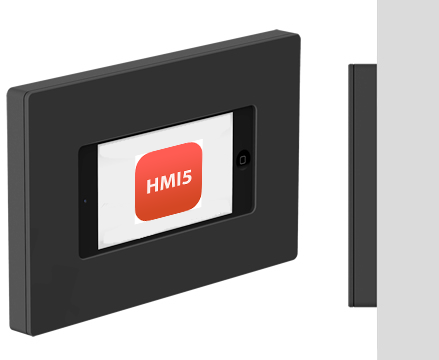 The HMI5 wall mount can easily be mounted on standard US/North America and European Gang Box. bacmove © Copyright 2019 - Firme Web Inc.